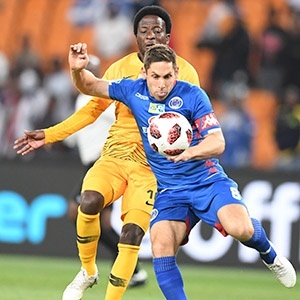 Cape Town - Dean Furman has signed on to play for Supersport United for another season, the player's agent has confirmed. The Bafana Bafana international's contract with Matsatsantsa was due to expire at the end of the current campaign but he will now don the blue and white kit next season as well. Furman has won three trophies in his time with Supersport, two Nedbank Cup titles as well as the MTN 8 crown, and will be looking to add to his haul of medals. The player's agent, Glyn Binkin, said in quotes posted in Soccer Laduma: "Yes, it's true. The 30-year-old is a regular in the national squad and brought up his 50th cap when he started for Bafana in the recent Afcon qualifier against Libya. Furman is going to be an important member in Stuart Baxter's squad for the AFCON tournament later this year in Egypt.